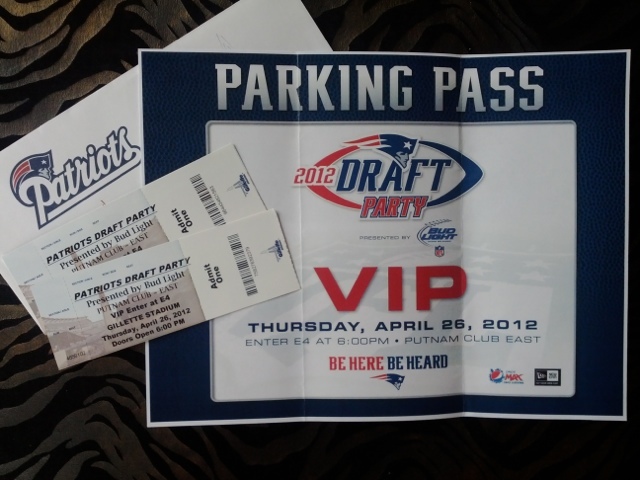 I’ll be at the Patriots Draft Party tonight and I’m going to look for Mr. 87 and try to sit on his lap, but before I get to all that…. My friend sent over the VIP package for me for the event. I can’t even begin to explain how fortunate I have been in my life to enjoy things because of the goodness and kindness of my friends. I’ll do a post with pics and comments about the event tonight, so please look out for all of that!